Developed by the Monash FODMAP team, this guide holds everything you need to know about alleviating irritable bowel syndrome (IBS) and how you can manage your symptoms. 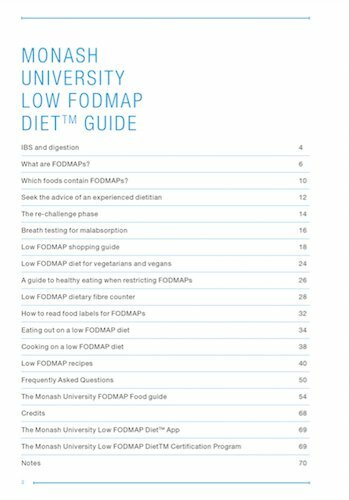 This guide is a soft-back booklet perfect for people with IBS and health professionals who may not have access to a smartphone or tablet to access the electronic version via the Monash University Low FODMAP DietTM App, or for those who simply prefer a hard copy resource. The Guide is updated annually so you can trust that all the information you read is current and backed by science. All proceeds from the sale of this resource fund further FODMAP and IBS research in the Department of Gastroenterology at Monash University. 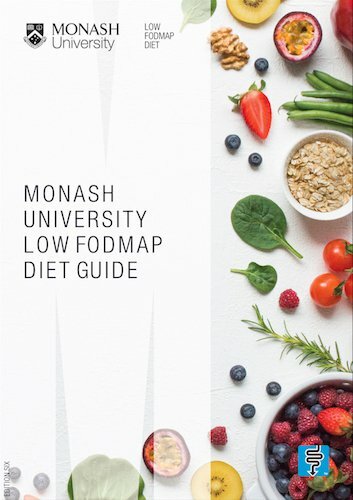 The Monash University Low FODMAP Diet Guide is included in the Low FODMAP App. The app is a great value option and ensures you always have the latest edition of the Guide – as well as other helpful resources.